World of Warcraft’s esports scene is gearing up for 2019. In an announcement yesterday, Blizzard revealed that the Arena World Championship will return this year. Meanwhile, last year’s Mythic Dungeon Invitational has been upgraded, evolving into the new Mythic Dungeon International. According to Blizzard, “the Arena World Championship is a showcase of the best PvP players in the world.” Across NA and EU, there’ll be two Arena seasons each. Teams will battle for their share of a $10,000 (£7,750) prize pool for each of the six competitions that make up a season, with the top five teams advancing to the AWC finals. China, Latin America, and Asia-Pacific regions will also run several cups, with one team from each region advancing to the finals. Signups opened last night and will close on Monday, January 28. The first North American and European competitions will take place on February 28, meaning you will at least have a little bit of time in order to hone your skills before entering the PvP Arena. 2019 also sees the upgrade of the Mythic Dungeon competition. The International tournament will show-off the best dungeon-running teams in the world, with seasons split between eastern and western regions. It’s interesting that the World of Warcraft team are not just continuing the game’s esports, but seemingly expanding them. Blizzard’s MOBA, Heroes of the Storm, recently had its esports scene slashed amid reports that Blizzard is being told to cut costs and ship more games by Activision. 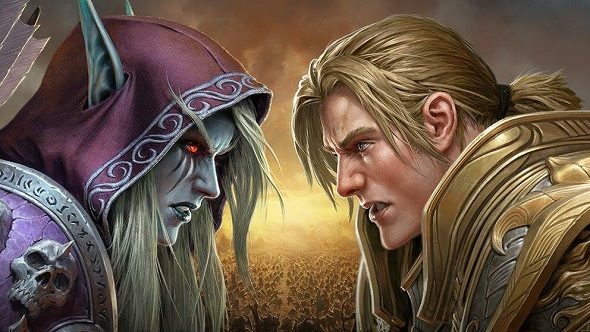 The expansion of the WoW scene might not be too much of an investment, but it definitely goes against what we’ve been hearing about Activision.